Keeping your basement dry and free of leaks is vital to the health of your family. Not only can a moist basement promote mold growth, but it can also be an expensive issue to fix. If you’re concerned with keeping your basement dry and free from leaks, here are three tips on how to prevent basement plumbing leaks from happening. The plumbing in your basement is vulnerable in frigid temperatures. If you have a basement or crawl space that has no access to heat during the winter months, your pipes are in real danger of freezing. Frozen pipes will become cracked, severely damaged, or even rupture due to the expansion of the water as it turns into ice. These damaged pipes will allow water to spray and leak throughout your basement or crawl space. It is expensive to replace the damaged pipes and to clean up after the leak. To prevent basement plumbing leaks and the cost of fixing them, purchase pipe insulation from your local hardware store. It’s relatively cheap and can be easily installed in a single afternoon. This small amount of effort and money will save you from expending much more effort and money if you were to experience a leak in your basement or crawl space. Consider this an investment in the security of your home. Some houses have the washer and dryer in the basement while others have a dedicated laundry room. Wherever it is, you don’t want any leaks in the area. The hoses that connect your washer to the lines of hot and cold water in your home are made of a thick rubber. While rubber is a durable material, it does wear out over time and can become dry and brittle. Once rubber hoses become brittle, they’ll begin to develop cracks that can allow water to leak out. Sometimes, the leak will be a slight drip that can easily escape detection. Other times, the leak will turn into a spray which is easily noticeable from behind the washer. It all depends on the width and size of the cracks. Once a year, closely inspect the rubber hoses that connect to the back of your washer. Rub your fingers along the hose to check for wet spots and any sort of abrasions that could indicate a crack. Rub your fingers around the mouth of the hose where the metal clamp holds the hose onto the washing machine. Check for water drops or any sort of dampness. If you find any signs of damage or wetness, replace the hoses immediately to prevent basement plumbing leaks. To be safe, you should replace your washing machine hoses every three to five years due to the natural corrosion of your hoses with frequent water use. The pipes running to and from your water heater and faucets are built to withstand a good amount of water pressure. Keeping the water pressure of your pipes below a certain limit can help to prevent basement plumbing leaks. If the pressure in your pipes exceeds this limit, it can compromise the integrity of your pipes, resulting in pipe ruptures and water leaks. Water pressure is considered high if it reaches above 60 psi. Only a professional plumber should be trusted to test your water pressure. 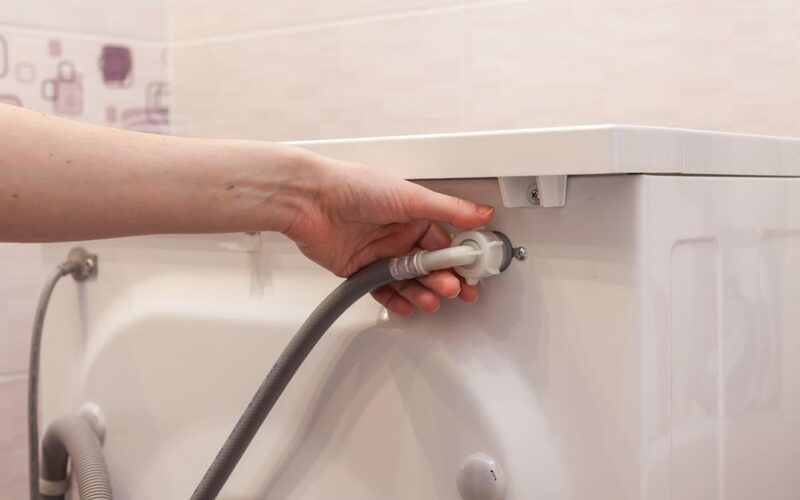 If the plumber finds that your water pressure is too high, they can adjust it as needed to bring it back to a level that’s safe for your pipes. Hopefully, a plumbing leak has never happened to you. But if it has, it is wise to hire a professional mold inspector to inspect and sample the area for mold. HomeVantage Home Inspections serves Northern New Jersey with home inspection services, including mold inspections. To book any of our services, contact us.